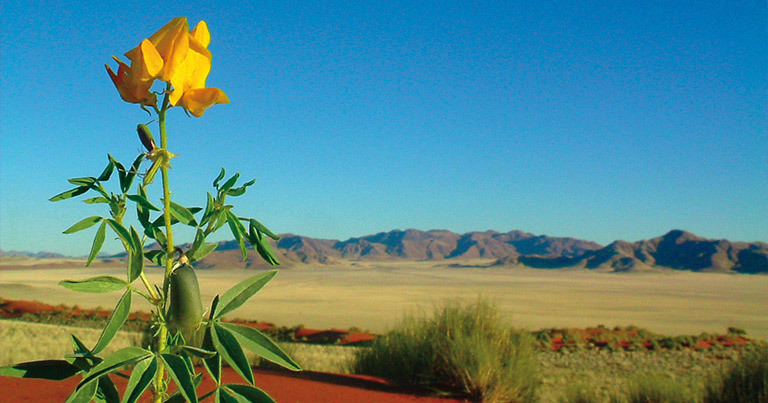 Discover Namibia’s four living deserts in the south of the country. 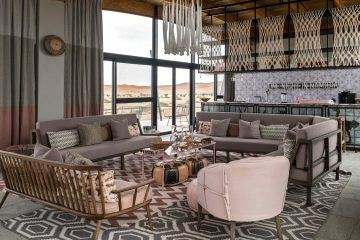 The undulating and vegetated dunes of the Kalahari Desert; the rocky plains and majestic Fish River Canyon; the majestic star dunes and surreal vlei’ s of the Namib Desert. 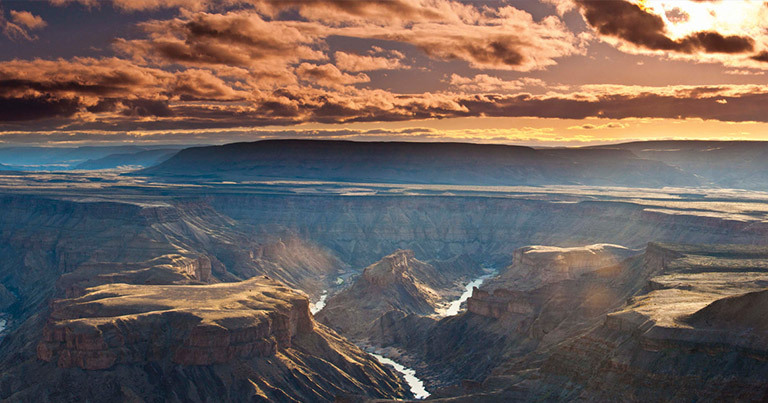 This 8-night self-drive holiday provides unequalled landscapes. 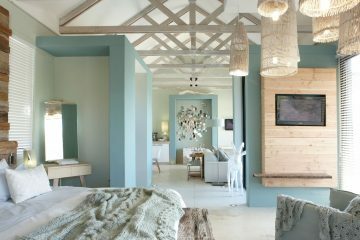 Depending on your international flight arrival time in Windhoek, an overnight in cosmopolitan capital of Namibia may be required. 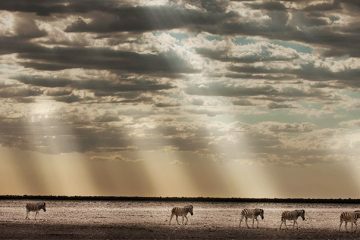 The Kalahari is a vast semi desert of wind-blown sand held by a sparse mantle of thorn scrub making it the largest continuous stretch of sand covering 9 African countries. 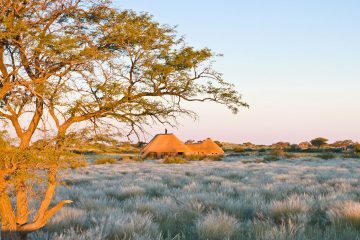 Lacking permanent surface water, the Kalahari is a challenging place to live except for those who have adapted to not only survive but to flourish. 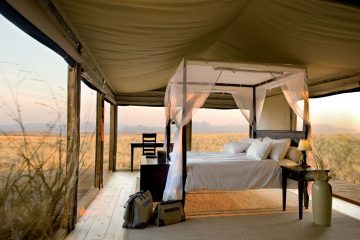 Enjoy the opportunity to experience the fauna and flora that has survived this desert environment for thousands of years. 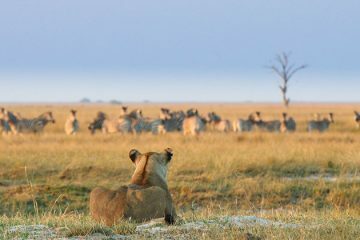 Drive south through expansive rocky plains, visiting the unique Quiver tree forest. 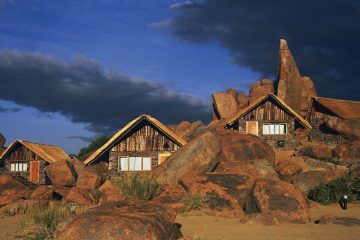 Nestled amongst huge dolerite boulders, stacked in a mysterious way, the area is also aptly referred to as “Giant’s Playground”. 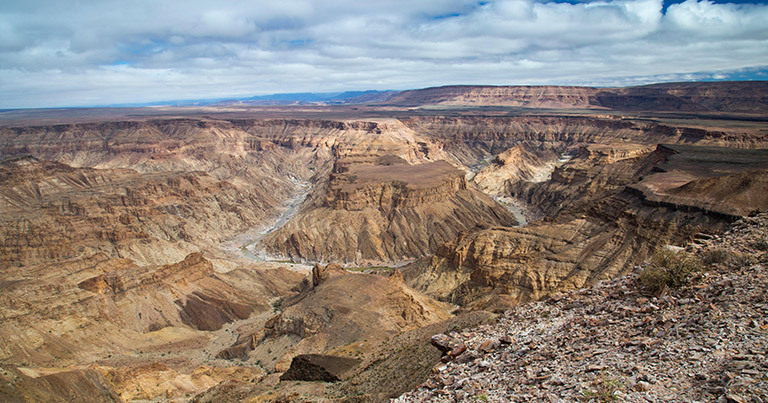 The Fish River Canyon is in the northern part of the Nama Karoo and it is the second largest canyon on earth, featuring a gigantic ravine that measures in total about 160 km long and up to 27 km wide and in places almost 550 meters deep. 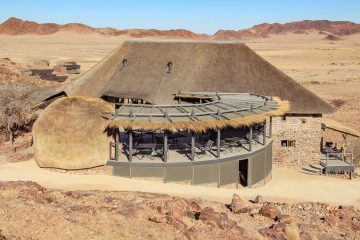 On the way to Lüderitz stop off at Garub where you might encounter the Wild Horses of the Namib Desert. 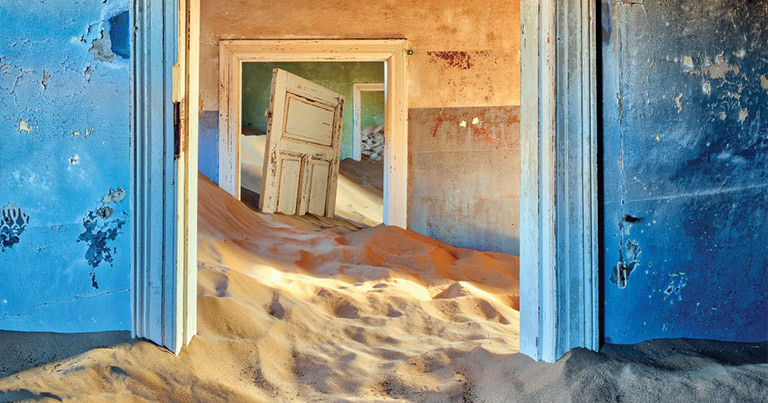 Visit Kolmanskop ghost town, a deserted Diamond Mining Town in the Sperrgebiet National Park. Once a cosmopolitan centre, a town built to last…until the diamonds ran out. Today Kolmanskop stands as a haunting monument to the thriving past. 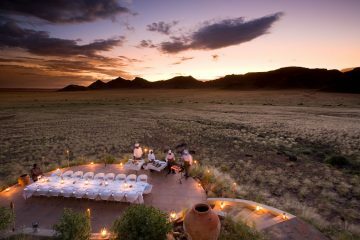 After an early breakfast travel north along the Tiras Mountain range to your lodge in the Namib Desert. 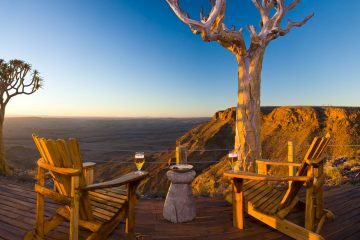 This is home to Sossusvlei, Dead Vlei and Sesriem Canyon; with some of the highest sand dunes on Earth towering over the white desert plains. 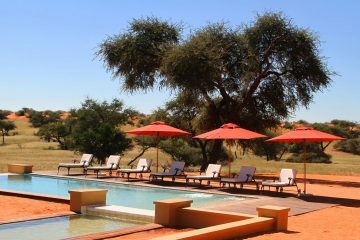 You will be mesmerized by the surreal Deadvlei, surrounded by the highest dunes and Sossusvlei, where the mostly dry Tsauchab River ends abruptly amongst majestic dunes. 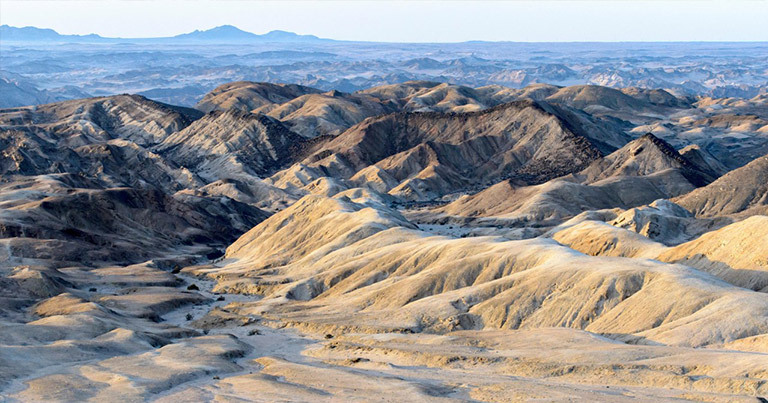 Take the opportunity to walk up one of these dunes to admire the desert landscape beneath. 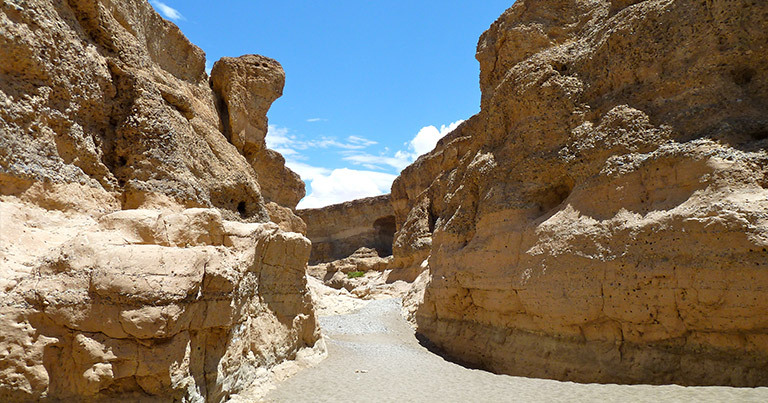 Thereafter visit the Sesriem Canyon, a life sustaining natural phenomenon in the heart of the Namib Desert. 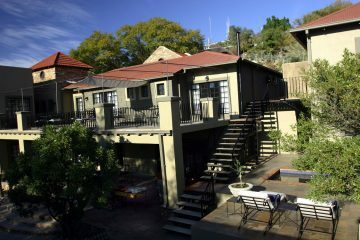 After breakfast travel via the desolate, rolling hills of the Kuiseb Valley towards the Atlantic Ocean. 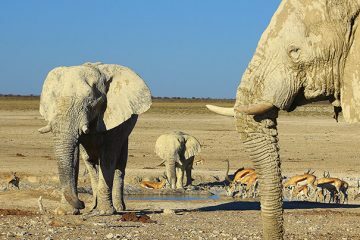 Reaching the coastal harbour town of Walvis Bay, visit the shallow lagoon, one of the most important wetland areas on the African continent and a RAMSAR World Heritage Site. Over 80% of the African flamingos feed in this lagoon and present a breath-taking picture when they appear in groups. 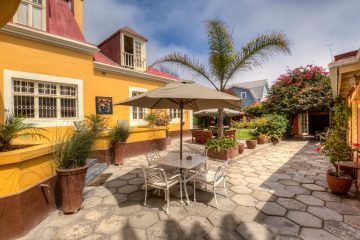 Continuing along scenic dune belts and the Atlantic Ocean you arrive in Swakopmund. 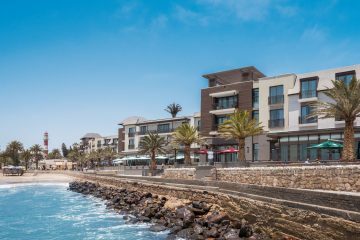 Swakopmund is often fondly referred to as the “playground of Namibia” Take time to get the feel of this quaint town with its historic buildings, museums, shopping arcades and beach bar that has transformed into its own personality by the vibrant use of colour and the bohemian lifestyle. 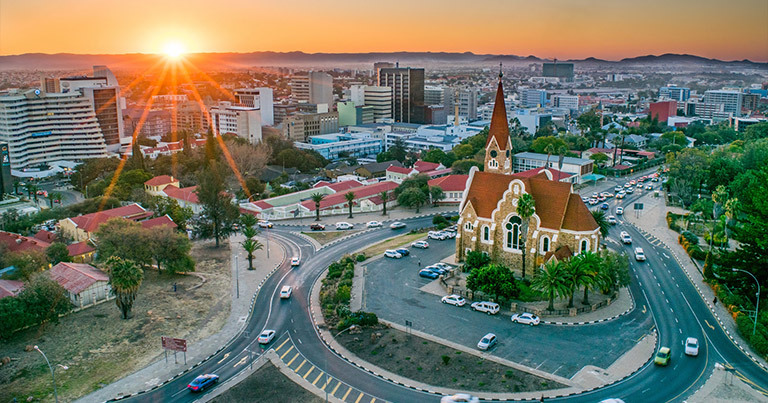 Combine with the Southern Circuit or extent to include a visit to Sossusvlei or fly from Walvis Bay to Cape Town for a few nights exploring the most beautiful city in the world. 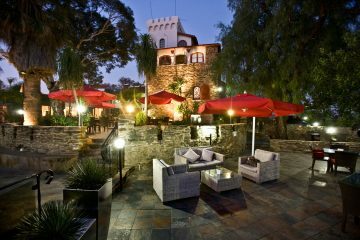 Your options are endless! 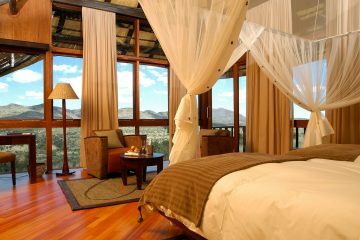 This itinerary is a suggestion only!